As a medical professional, you are all too aware of the use of antibiotics and how effective they are for treating a myriad of infections. They have helped relieve countless maladies for people all over the world. We want to share this article with you and we welcome your thoughts and experiences about what’s happening regarding antibiotics not working for some of your patients. In early April, experts at a military lab outside Washington intensified their search for evidence that a dangerous new biological threat had penetrated the nation’s borders. They didn’t have to hunt long before they found it. On May 18, a team working at the Walter Reed Army Institute of Research here had its first look at a sample of the bacterium Escherichia coli, taken from a 49-year-old woman in Pennsylvania. She had a urinary tract infection with a disconcerting knack for surviving the assaults of antibiotic medications. 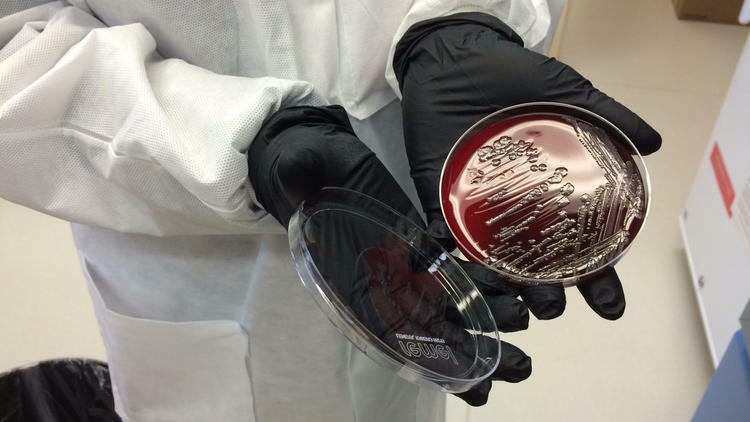 Her sample was one of six from across the country delivered to the lab of microbiologist Patrick McGann. Within hours, a preliminary analysis deepened concern at the lab. Over the next several days, more sophisticated genetic sleuthing confirmed McGann’s worst fears. There, in the bacterium’s DNA, was a gene dubbed mcr-1. Its presence made the pathogen impervious to the venerable antibiotic colistin. "We’re seeing more drug-resistant infections. And people will die." More ominously, the gene’s presence on a plasmid — a tiny mobile loop of DNA that can be readily snapped off and attached to other bacteria — suggested that it could readily jump to other E. coli bacteria, or to entirely different forms of disease-causing organisms. That would make them impervious to colistin as well. It was a milestone public health officials have been anticipating for years. In a steady march, disease-causing microbes have evolved ways to evade the bulwark of medications used to treat bacterial infections. For a variety of those illnesses, only colistin continued to work every time. Now this last line of defense had been breached as well. A second U.S. case of E. coli with the mcr-1 resistance gene was reported this week in the journal Antimicrobial Agents and Chemotherapy. Researchers are still working to determine whether it, or any of 18 other samples from around the world, contained the gene on an easy-to-spread plasmid. Like this article? Click below to receive our FREE bi-weekly newsletter full of interesting articles like this one! Use of "antibiograms" in skilled nursing facilities could improve antibiotic effectiveness and help address problems with antibiotic resistance that are becoming a national crisis, researchers conclude in a new study. The recent research, published by researchers from Oregon State University in Infection Control and Hospital Epidemiology, pointed out that 85 percent of antibiotic prescriptions in the skilled nursing facility residents who were studied were made "empirically," or without culture data to help determine what drug, if any, would be effective. "When we're only prescribing an appropriate antibiotic 35 percent of the time, that's clearly a problem," said Jon Furuno, lead author on the study and an associate professor in the Oregon State University/Oregon Health & Science University College of Pharmacy. "Wider use of antibiograms won't solve this problem, but in combination with other approaches, such as better dose and therapy monitoring, and limiting use of certain drugs, we should be able to be more effective," Furuno said. "And it's essential we do more to address the issues of antibiotic resistance," he said. "We're not keeping up with this problem. Pretty soon, there won't be anything left in the medical cabinet that works for certain infections." In September, President Obama called antibiotic resistant infections "a serious threat to public health and the economy," and outlined a new national initiative to address the issue. The Centers for Disease Control and Prevention has concluded that the problem is associated with an additional 23,000 deaths and 2 million illnesses each year in the U.S., as well as up to $55 billion in direct health care costs and lost productivity. "Antibiograms help support appropriate and prudent antibiotic use," said Jessina McGregor, also an associate professor in the OSU/OHSU College of Pharmacy, and lead author on another recent publication on evaluating antimicrobial programs. "Improved antimicrobial prescriptions can help save lives, but they also benefit more than just an individual patient," McGregor said. "The judicious use of antibiotics helps everyone in a community by slowing the spread of drug-resistant genes. It's an issue that each person should be aware of and consider." Multi-drug resistant organisms, such as methicillin-resistant Staphylococcus aureus, or MRSA, and other bacterial attacks that are being called "superinfections" have become a major issue. Improved antibiotic treatment using a range of tactics, researchers say, could ultimately reduce morbidity, save money and lives, and improve patients' quality of life.